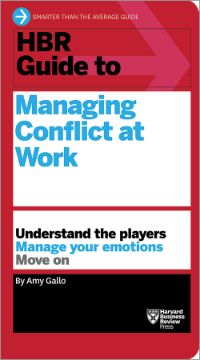 I'm honored to host this excerpt from Amy Gallo's new book, HBR Guide to Managing Conflict at Work. 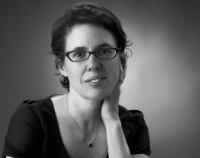 Amy is a contributing editor at Harvard Business Review and a wise woman. This article was adapted from HBR Guide to Managing Conflict at Work and How to Make Sure You're Heard in a Difficult Conversation. Amy Gallo is the author of the HBR Guide to Managing Conflict at Work, a how-to guidebook on handling conflict professionally and productively. She is a contributing editor at Harvard Business Review, where she writes and develops ideas for the web, magazine, and press. She covers a range of topics with a focus on managing conflict, managing yourself, leading people, and building your career. Having worked with dozens of organizations and written about workplace dynamics for over a decade, Amy is particularly interested in situations in which relationships fall apart and how to repair them. Before working as a writer and editor, she was a consultant at Katzenbach Partners, a strategy and organization consulting firm based in New York (later acquired by Booz & Company, which is now Strategy&). She is a graduate of Yale University and has a master’s from Brown University.